All of our training is kind, fair, and effective based on the most up to date, scientific research. One of the joys of being a dog trainer and behaviourist is the continual learning journey I am on. The best practice methodology in dog training and behaviour is constantly evolving and developing and I am committed to being at the forefront of this knowledge. The additional benefit of this for you and your dog is that we don’t just have one way in which we can address the problems you are having with your dog as this is never a one size fits all approach. Our training primarily focuses around positive reinforcement which means that we use something that the dog really likes (like food or toys) to reinforce the behaviours that we want. This has consistently been shown to bring the best results from your dog and additionally helps to build a strong relationship between you and your dog through the training. All our training is instructing you to work with your dog; you live and walk them every day, you are the one that is going to have to work with them on a daily basis. Therefore, it is my job to ensure that you are able to easily carry out your training and get the results you are working towards. We are happy to talk through how our training approach works and why it is the best approach for your dog – no matter their size or breed! 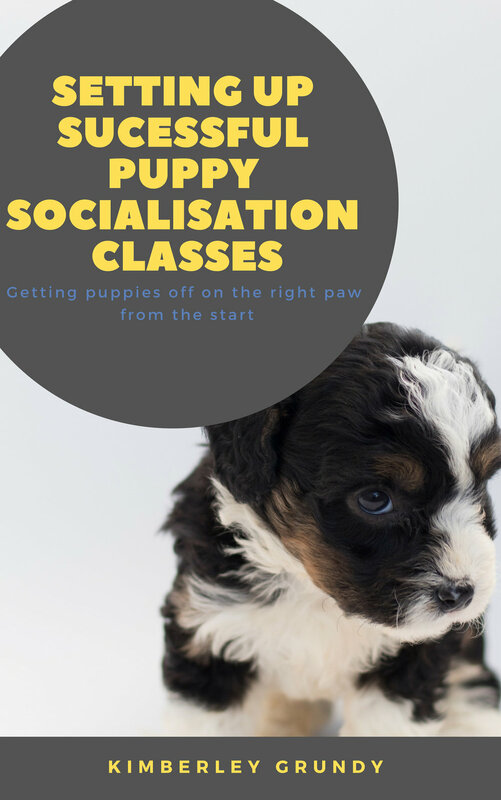 Find Kim’s training philosophy in her book on setting up successful puppy socialisation classes - which can be found on Amazon - click on the cover below to be taken directly to the site.